The NES game now hits Sploder with full force! Blast your way through bases, jungles, mountains, and alien territory to defeat the Red Falcon once more! 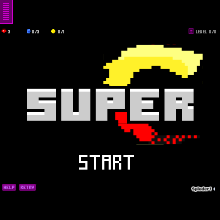 Are you up to the challenge of "Super C?"